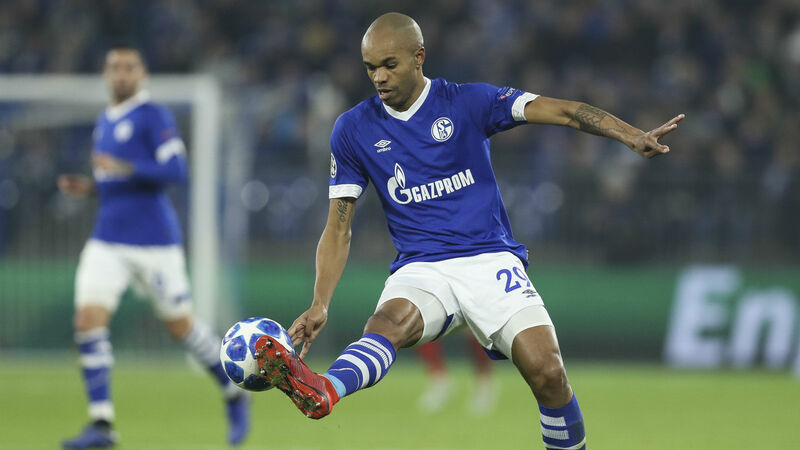 Ligue 1 strugglers Monaco have bolstered their defensive options by signing experienced Brazilian centre-back Naldo from Schalke. The 36-year-old had been a regular fixture in the Bundesliga for most of his 13 and a half years in Germany, playing for Werder Bremen and Wolfsburg before making the switch to Schalke in 2016. He found himself out of the Schalke team more this term, however, featuring just seven times in the league before the mid-season break. The former Brazil international will add much-needed experience to a Monaco team which has shipped 29 goals in 18 Ligue 1 games – only rock-bottom Guingamp, Dijon and Amiens have conceded more. Monaco are enduring a woeful season domestically and look in real danger of relegation, having won the title under Leonardo Jardim in 2016-17. Thierry Henry's men are second from bottom, with some suggesting their over-reliance on young players is backfiring. No fewer than 19 players aged 22 or younger have featured for Monaco in Ligue 1 this term, but the move for Naldo suggests the club are now looking to older players in a bid to save them from relegation. Naldo joins until June 2020 and Monaco are reported to have paid approximately €1million. Cesc Fabregas - a former team-mate of Henry's at Arsenal - is also reported to be on his way to Monaco from Chelsea.